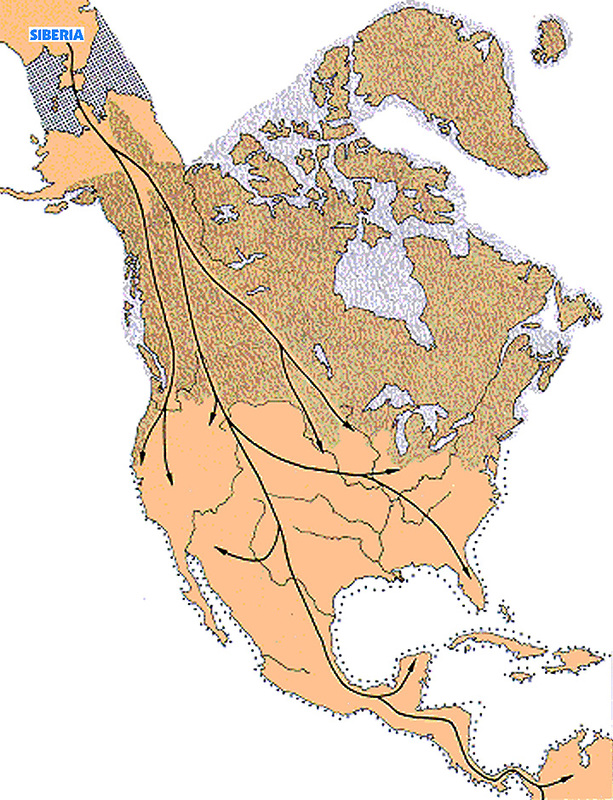 Early man migrated across the so-called Bering Land Bridge from Siberia, traveled down the west coast of North America and fanned out across the current United States and into Mexico approximately 13,000 years ago. The identity of the earliest humans in the Santa Clarita Valley  and what language they spoke  is unknown. They predated the Tataviam, who spoke a Uto-Aztecan language, by about 11,000 years. Map: "The Bering Strait Land Bridge and the Migration of Early Indians" By Jose Arredondo, University of California Los Angeles.